The smell of Christmas is hard to beat. Fir branches, wood fires to keep warm, sweet smelling spices — and because this is Switzerland — lots of cheese. 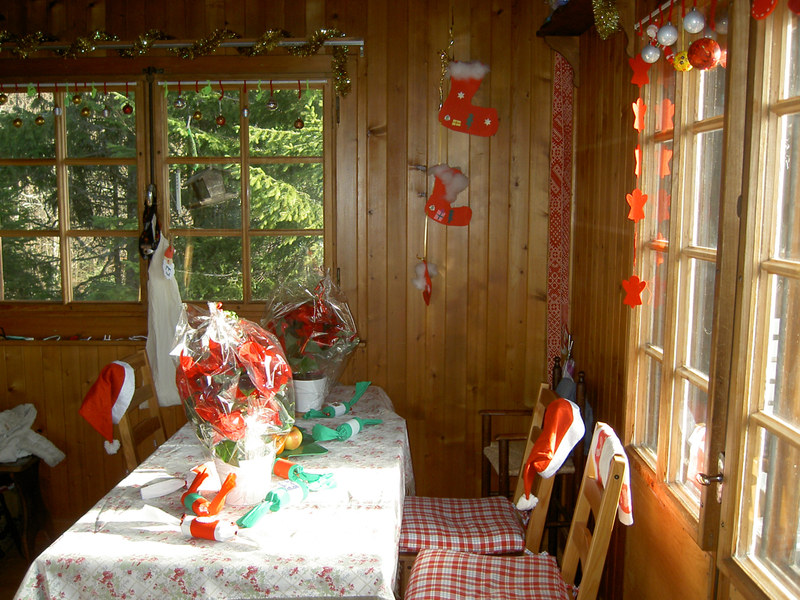 We just had a pre-Christmas raclette (way too much melted cheese scraped over potatoes) in our little chalet. A perfect transition into holidays from a busy teaching term that left us all on our knees. It is always fun to decorate with small people! It looked great for about half an hour, then the usual chaos took over again. Oh well! Life happens. (You can see there isn’t a smidgen of snow on the trees, despite being 11oom up in the Jura mountains). The snow allowed us to sledge for one day, including at night (headlamps and enthusiasm for the kiddies and papa, warm tea inside for mama! ), then it melted pitifully. 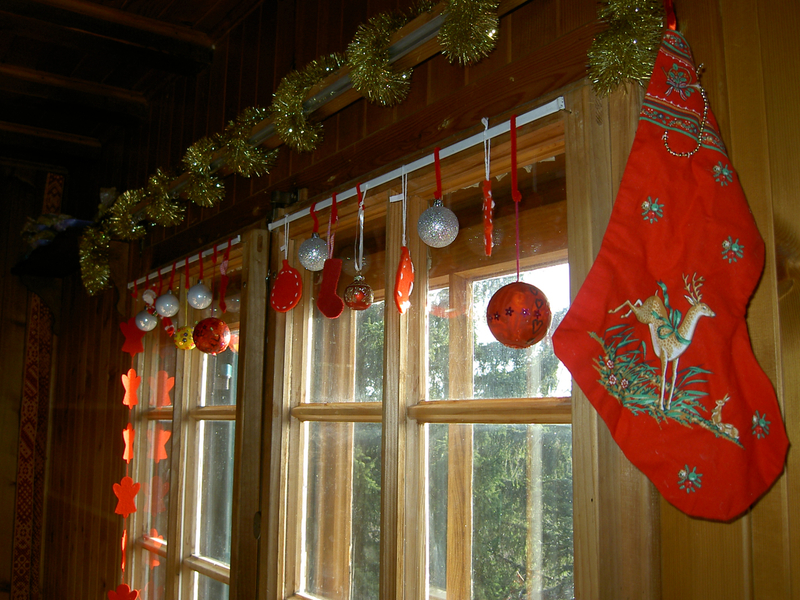 The warm southern foëhn wind started up, removing in a few gusts all hopes of a white Christmas. Never mind! It probably wasn’t snowy in Bethlehem, was it? 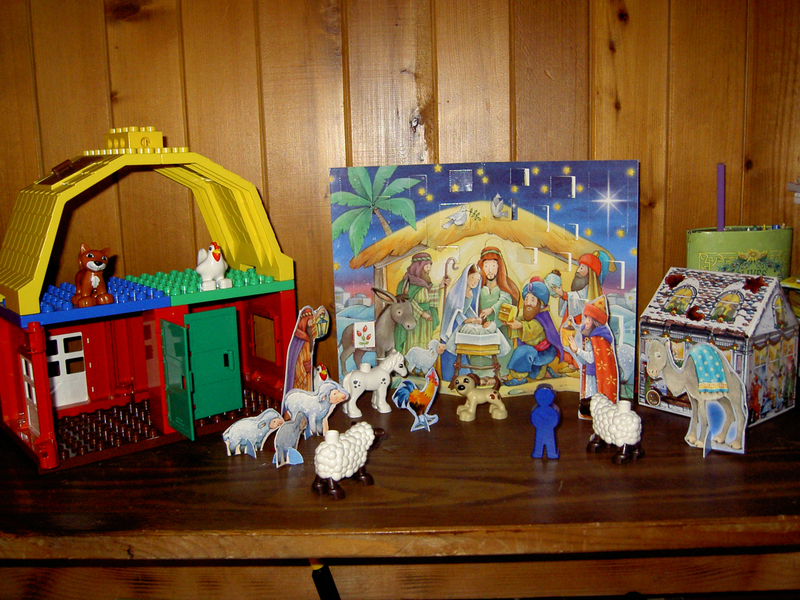 The first version of this crèche had a penguin in it. I wonder why it was removed? I rather liked it. 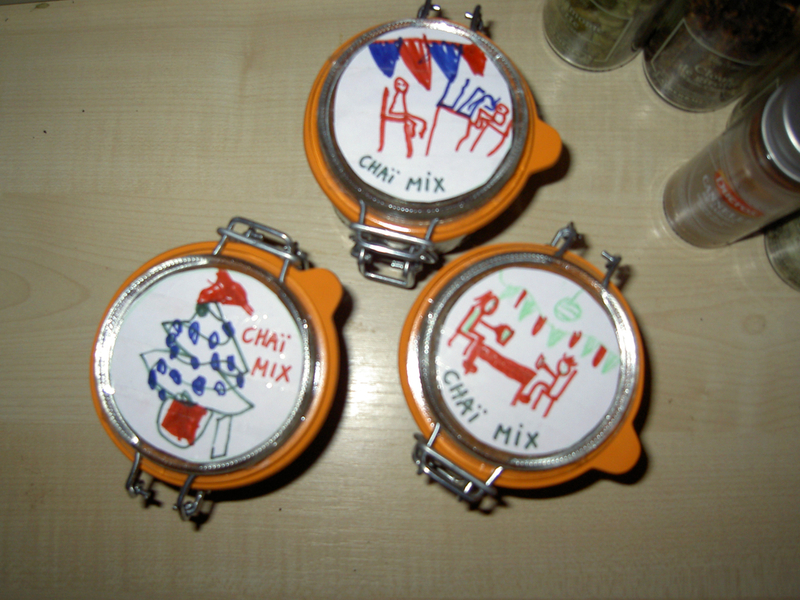 So instead of playing in the snow, or skiing, we continue to prepare handmade gifts, including this excellent chaï mix using this recipe. 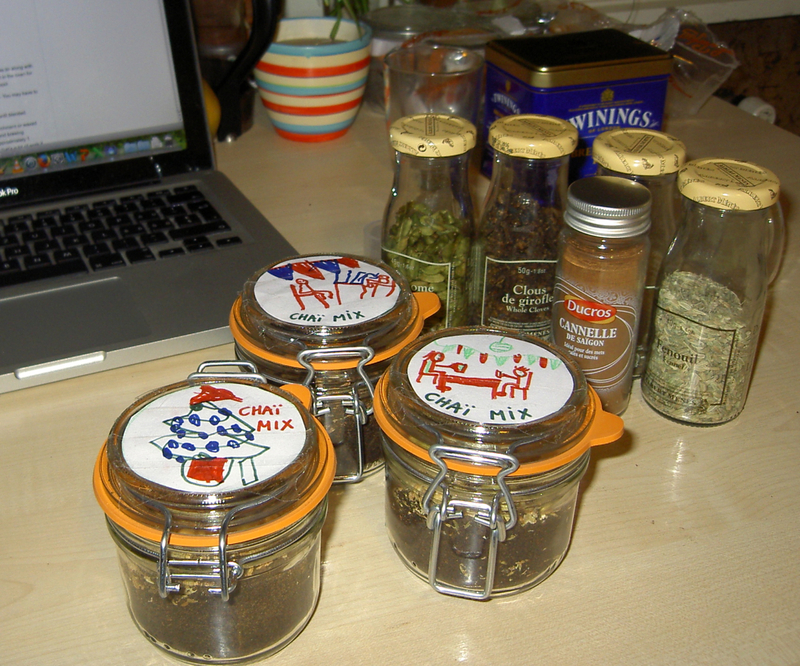 I bought some gorgeous little red peppercorns for it, as instructed, but I must have left them in the supermarket. They are nowhere to be found! Bother. But the labels are adorable, aren’t they? I love the one of the people drinking tea (by Miss R), and the second one of the same scene that includes an arrow showing the tea leaving the teacup (by Mr A). As the recipe called for roasting the spices in the oven, it made the whole place smell of Christmas. Wonderful! Worth it just for that. Sorry you didn’t get your white Christmas, but glad you weren’t getting blown away like we were lol Looks like you had loads of Christmas fun anyway, although I kind of feel sorry for the absent penguin too!